With this still being February, I’d like to talk a bit more about love. Yes, just a bit more about self love. I think this is important due to the fact that no matter what program you connect with to improve your health, sooner or later your going to hear the voices. Don’t kid yourself, everyone has a level of self love that could be just a bit higher. This IS the make or break point. 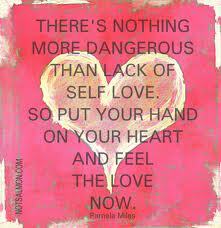 The voices of low self love can be scary. Mother Teresa said the world has a greater hunger for love than they do for bread. Can we go with the onion thing. Over the last couple of months you have started to peel away layers of your being. Your/we’re starting to get to the core part. How did my health get to this low level? What habits have been self sabotaging? Take a minute and write them down. Lets do a little exercise. Imagine yourself. Now, take yourself and place it outside of you. Sure put it on a pedestal. You are now looking down and back at you, your life, your experience, your journey. Can you see all the mountains you have climbed? Find that one BIG mountain, look at it. Damn, that was big. The odds were really against you! And…..you did it. Can you see all the nay sayers that are gone by the way side? That’s ok. You have a bigger plan. Psychology Today has a good post about self love being your trump card, which I couldn’t have said better. Now would be a good time to start playing it! Your loved and your worth it!